The park's rocky coastline is a haven for a myriad of marine life and is always a fascinating place to explore. 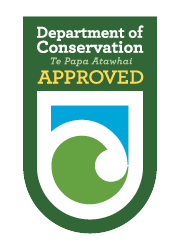 Abel Tasman Kayaks is one of only three operators authorised to undertake marine mammal viewing from sea kayaks at Tonga. Our best one day adventure combining all our favourites! Join us for the complete Tonga Island Marine Reserve Tour. This is a stunning day trip that covers the entire marine reserve from start to finish. Starting at Awaroa, courtesy of our water taxi transfer, allows us to visit Shag Harbour*, a hidden inlet like nowhere else in the Abel Tasman. We then paddle south, focusing on the Tonga Island Marine Reserve and its playful inhabitants - the NZ fur seal, Kekeno. After a great picnic lunch on one of the beautiful beaches we'll visit the Tonga Arches, exploring south along the carved granite coastline through to the tranquil lagoons and golden sand of the 'heart of the park' and our final destination, Bark Bay. Paddling is our business, with all activities supported by our purpose-built kayak base, free hot showers, free wifi, free equipment storage & client transporters. We also provide high-quality soft gear - fitted for each client by our guides and high-quality hard gear – customised for comfort for each client. On this trip covering the entire Tonga Island Marine Reserve coastline you have a professional guide with you for around 8 hours sharing their knowledge and passion of the Abel Tasman. We also cater a snack and lunch designed around your health and energy made onsite by our container cafe. Every trip is unique like each of our clients.